anticipated, relevant and personal [and timely]. Godin (1999) notes that while research used to show we were bombarded by 500 marketing messages a day, with the advent of the web and digital TV this has now increased to over 3000 a day! From the marketing organisation's viewpoint, this leads to a dilution in the effectiveness of the messages - how can the communications of any one company stand out? From the customer's viewpoint, time is seemingly in ever-shorter supply, customers are losing patience and expect reward for their attention, time and information. Godin refers to the traditional approach as 'interruption marketing'. Permission marketing is about seeking the customer's permission before engaging them in a relationship and providing something in exchange. The classic exchange is based on information or entertainment - a B2B site can offer a free report in exchange for a customer sharing their e-mail address which will be used to maintain a dialogue; a B2C site can offer a screensaver in exchange. Marketing communications that disrupt customers' activities. to receive further communications from a company (see Figure 3.3 for further examples). This approach is referred to as 'opt-in'. This is preferable to opt-out, the situation where a customer has to consciously agree not to receive further information. 5 over time, using the permission to change consumer behaviour towards profits. Notice the importance of incentives at each stage. The use of incentives at the start of the relationship and throughout it are key to successful relationships. As we shall see in a later section, e-mail is very important in permission marketing to maintain the dialogue between company and customer. Make sure though that through providing choice you do not overstretch your resources, or on the other hand limit your capabilities to market to customers (for example if customers only opt in to an annual communication such as a catalogue update) you still need to find a way to control the frequency and type of communications. • Principle 2. Create a 'common customer profile'. A structured approach to customer data capture is needed otherwise some data will be missed, as is the case with the utility company that collected 80,000 e-mail addresses, but forgot to ask for the postcode for geo-targeting! This can be achieved through a common customer profile - a definition of all the database fields that are relevant to the marketer in order to understand and target the customer with a relevant offering. The customer profile can have different levels to set targets for data quality (Level 1 is contact details and key profile fields only, Level 2 includes preferences and Level 3 includes full purchase and response behaviour). Definition of the sequence and type of outbound communications required at different points in the customer lifecycle. Principle 3. Offer a range of opt-in incentives. Many web sites now have 'free-win-save' incentives to encourage opt-in, but often it is one incentive fits all visitors. Different incentives for different audiences will generate a higher volume of permission, particularly for business-to-business web sites. We can also gauge the characteristics of the respondent by the type of incentives or communications they have requested, without the need to ask them. - Monitoring clickthrough to different types of content or offer. - Monitoring the engagement of individual customers with e-mail communications. - Follow-up reminder to those who don't open the e-mail first time. Principle 6. Create an outbound contact strategy. Online permission marketers need a plan for the number, frequency and type of online and offline communications and offers. This is a contact or touch strategy which is particularly important for large organisations with several marketers responsible for e-mail communications. The contact strategy should indicate the following. (1) Frequency (e.g. minimum once per quarter and maximum once per month). (2) Interval (e.g. there must be a gap of at least one week or one month between communications). (3) Content and offers (we may want to limit or achieve a certain number of prize draws or information-led offers). (4) Links between online communications and offline communications. (5) A control strategy (a mechanism to make sure these guidelines are adhered to, for example using a single 'focal point' for checking all communications before creation dispatch). Examples of contact strategies for Euroffice and Tesco.com were discussed in Chapter 4. New Resource Reveals he Amazing Secrets Behind The Net's Most Successful Email Campaigns. The Greatest Collection of Moneymaking Emails Ever Plus You Get The Rights to Sell This New Resource and Keep ALL the Profits! 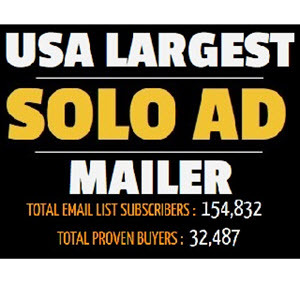 The power of email marketing is truly the killer app of the Internet. If you dropped me anywhere in the world with just a dial-up connection, I guarantee that within 24 hours I could generate an immediate cash surge for you.